As soon as we thought that Play’n GO has had a successful year with new game releases and concluded their season with a slot, they surprised us and announced their second slot in December, which will be called Star Joker. This online video slot will be a great tribute to traditional slots that featured some of the popular symbols such as Lucky 7s, cherries, plums, and more. It sounds as easy as every other slot game on the Internet, but the team at Play’n GO decided to go a step further and include a feature to Star Joker that has never been seen before. There are a lot of slot lovers on the web who spend their leisure time spinning slots and enjoying other casino games. However, newbies often find slots difficult to grasp as they have become quite complicated in the last two decades. 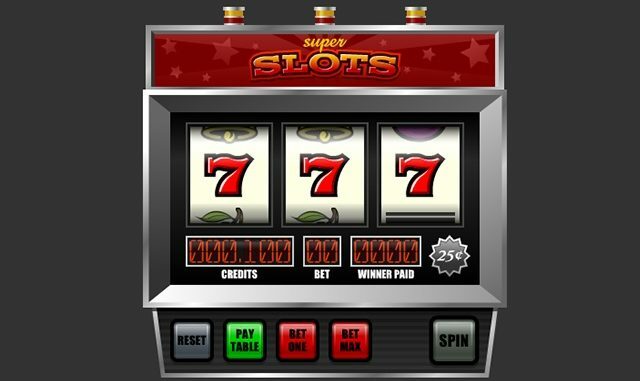 Apart from the standard features such as wilds, scatters, and bonus spins, video slots are continually being innovated on and new features are being added. The team at Play’n GO saw that there is a huge problem with new players who easily get scared by the seemingly complex interface and quit playing this type of game. Therefore, they decided to include an in-depth interactive tutorial in Star Joker. If you are completely new to slots, and you want to experience them the way they should be experienced, make sure to start with this game as it will teach you all the basics of slot spinning. The tutorial in Star Joker provides a detailed insight into every part of slot games on the web. First of all, the players can get to know how paylines work, and how they can adjust bet amounts for spinning. Furthermore, the tutorial provides an overview of special features and symbols such as the wild symbol. After players complete the tutorial, they will be ready to take on any other slot game and understand how they work in just a couple of seconds. The CEO of Play’n GO, Johan Törnqvist, stated that the game reflected on the successful year behind the company and that it was another great addition to their portfolio, especially because it had a great way to tutor new players into playing and mastering online video slots. Törnqvist added that many players took slots and rules for granted and that Play’n GO wanted to teach them to play responsibly. Furthermore, the Play’n GO CEO stated that 2018 had gone exceedingly well and that he hoped for 2019 to be no different, as they were expecting bigger challenges in front of them. Star Joker will feature the Joker symbol which will grant you ten bonus spins if you manage to land three of them on the reels, making your gameplay more exciting. Once you trigger the bonus spins, the wild will start appearing in the form of a white-gold joker.